A week or so ago I encouraged you all to experience your own food-cations and in the meantime I have had one of my own. 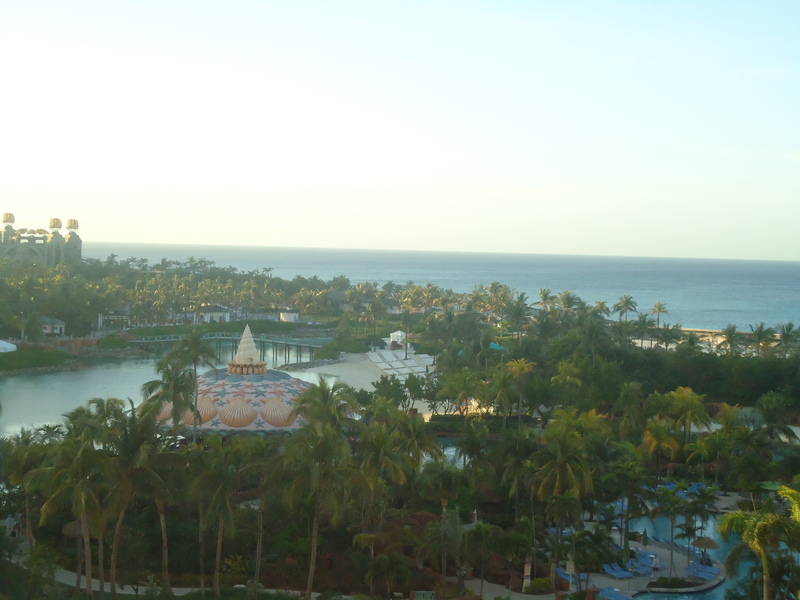 We visited the famed Atlantis Resort onParadise Island, in Nassau Bahamas. The resort was beautiful, and elegant, and definately carried the aquatic theme throughout. You could see the sea turtle and sting ray habitats from the balcony of our room, as well as a breathtaking view of the ocean. The Bahamian citizens are friendly, and always willing to share with you little bits about the island and it’s history and culture. They are also encouraging of their local foods a common ingredient in bahamian food the conch. 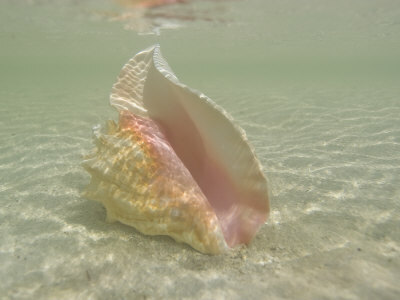 Conch are the little critters that you find in the big pink sea shells, and they can be found everywhere on the island. Conch fritters are a particular favorite, as well as conch salad. 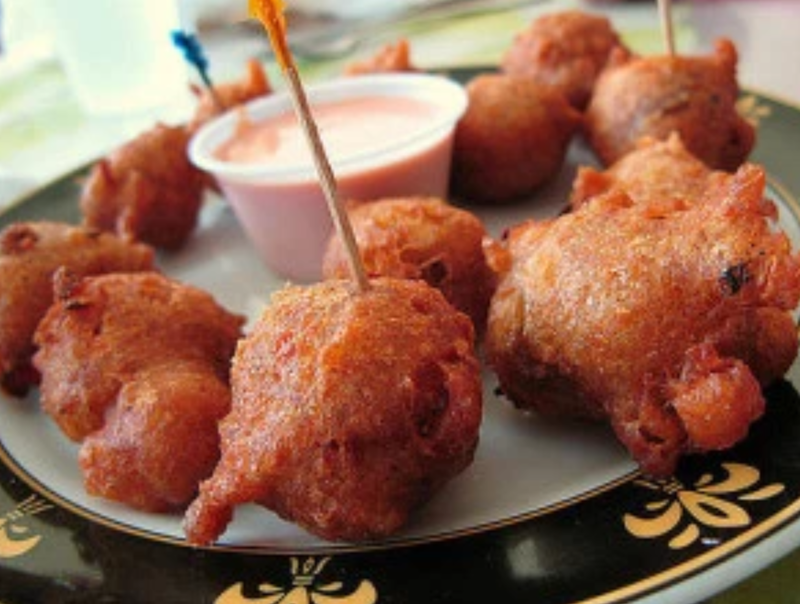 Conch fritters are a savory pastry type food, reminiscent for me of an American hushpuppy. The conch is cut in to very small pieces, and incorporated into a batter that is then deep fried. It has a crispy bite on the outside but a soft bread texture in the center. Very tasty! Often served with a dipping sauce this is a must have when visiting the bahamas. 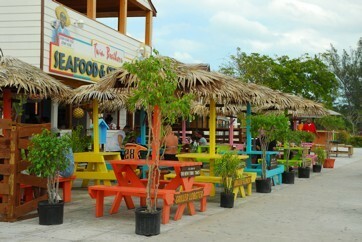 There is one particular place to visit when looking for the most authentic Bahamian food, at a reasonable price. The Fish Fry. The fish fry is a specific area of Nassau where local fare takes center stage, and you can find everything from beans and rice, chicken souse, and the freshest snapper and grouper you’ve ever tasted! Known for the seafood in the area, the fish fry is well priced for the amount of food you get, and is authentic to the area which is a must for any food-cation! A seafood celebration in the bahamas! There are still moments on any food-cation where you want “normal” food, and at Atlantis it will cost you! 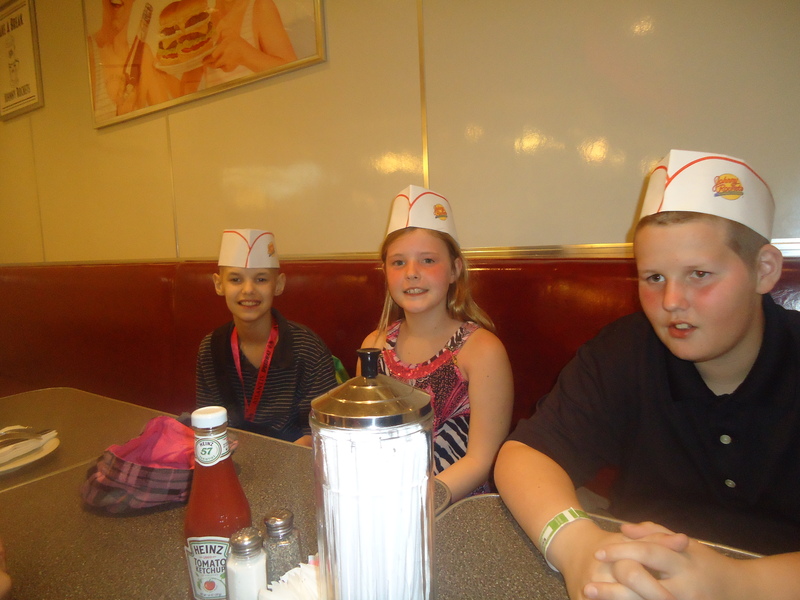 An average meal within the resort will easily run you $50/adult or around $200/meal for a family of 4-5. There are alternatives though you just have to seek them out. 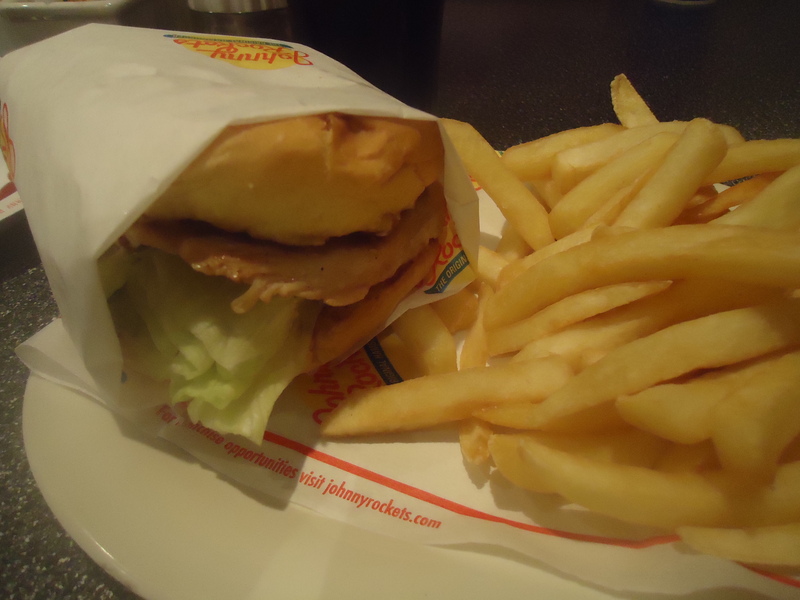 One favorite for my kids while on resort an American favorite; Johnny Rockets! At a third of the price of the resort meals, you can get a great burger, fries, and soft drink that will definately fill you up and is just a short walk away in the Marina Village, surrounded by shopping areas, and other touristy attractions, this was a nice stop for us. Another great way to beat the money monster that is Atlantis, order Dominos Pizza! They will deliver to the Lobby of the resort, and two large pizzas and a 2L of pop cost only $30.00! Not my favorite but the kids would choose this over conch salad any day, and this was one of their favorite meals. Although bahamian food presentation is much simpler than other places that I visited, it is full of flavor, and a source of pride for the bahamian people. Rightly so, I couldn’t get enough it was so delicious, and now to find fresh conch in Michigan…hmmm… that one might be tough. Happy eating everyone!